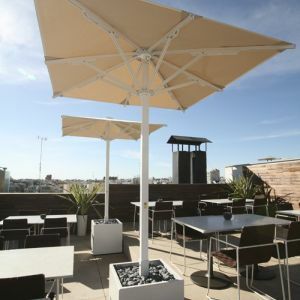 Hotel Meliá Madrid Serrano is located at number 139 Calle Claudio Coello in the strategic centre of Madrid with excellent connections to any part of the city. 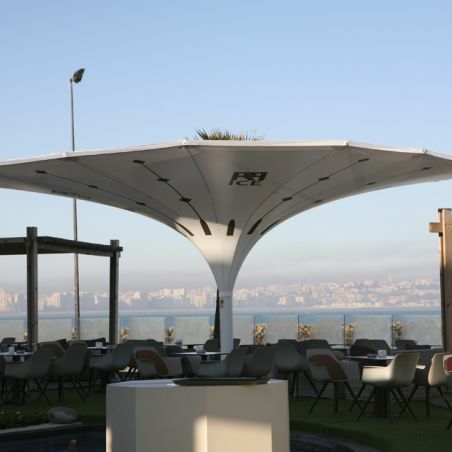 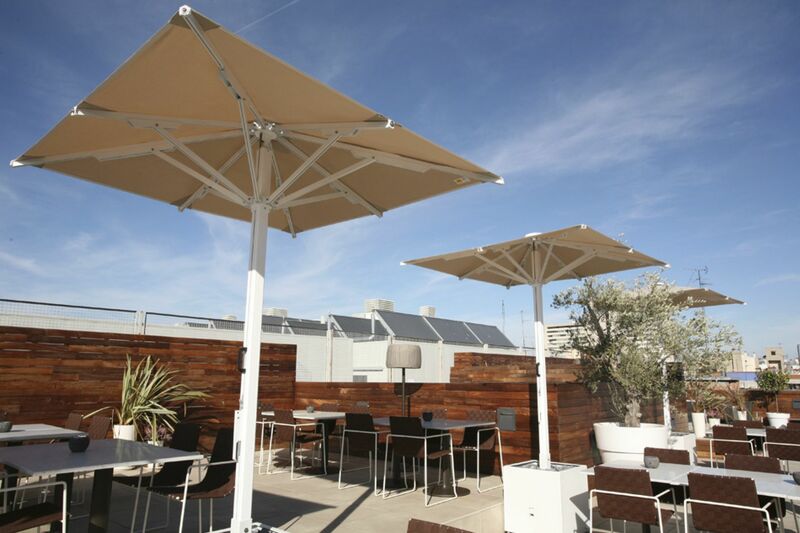 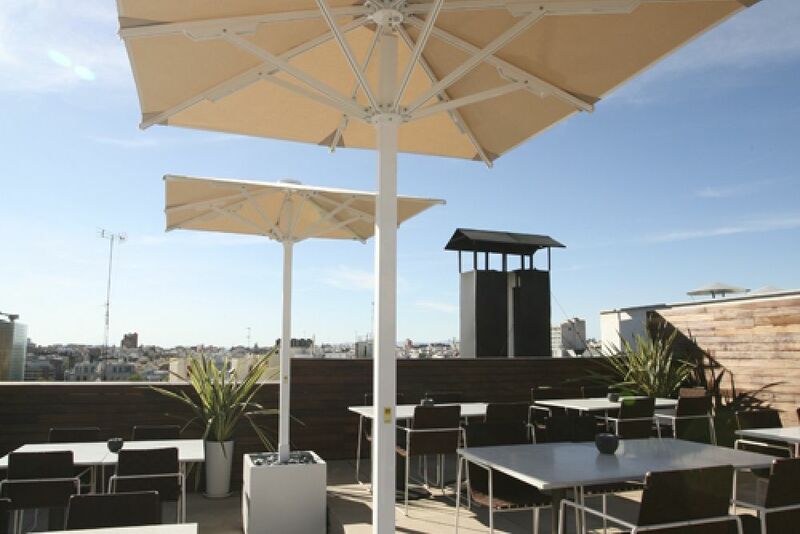 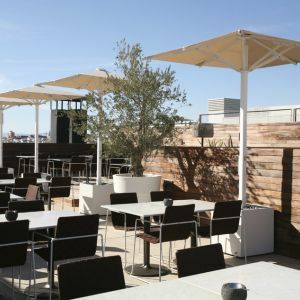 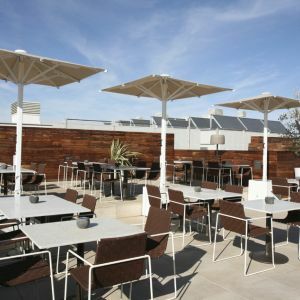 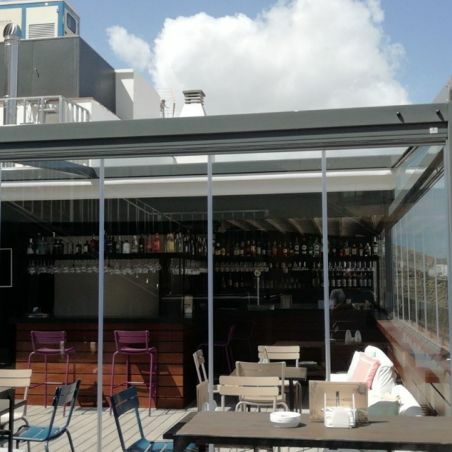 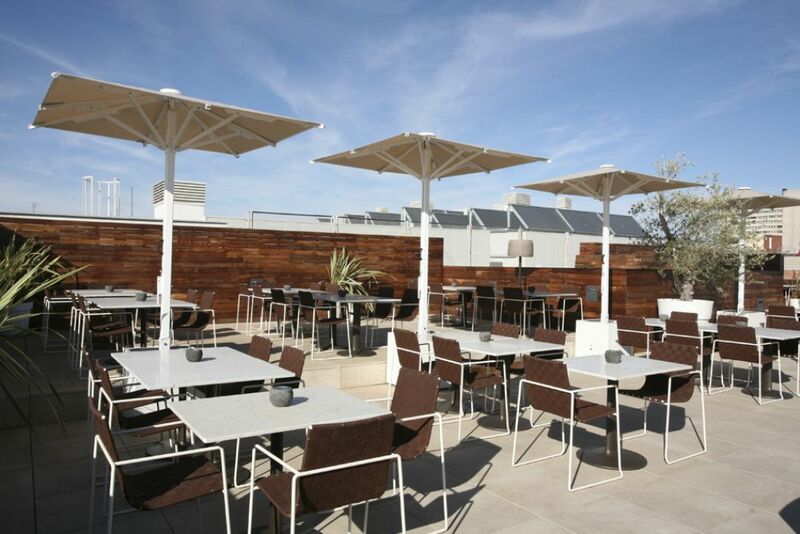 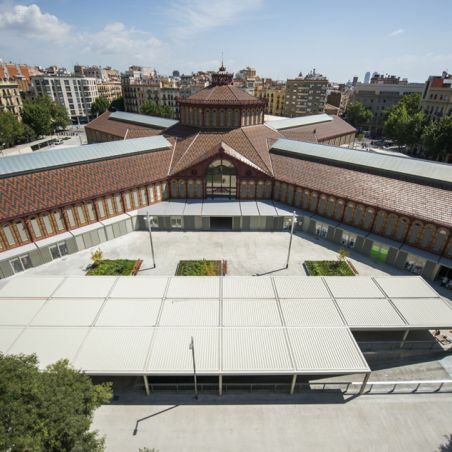 The exterior project for this hotel has been carried out to cover a highly wind-exposed terrace with the Indus parasol, chosen for its resistance and elegance. 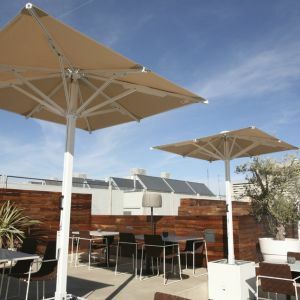 This proposal required the mobility of the parasols, due to the need to move them at will for the organisation of events and special occasions on the hotel terrace. 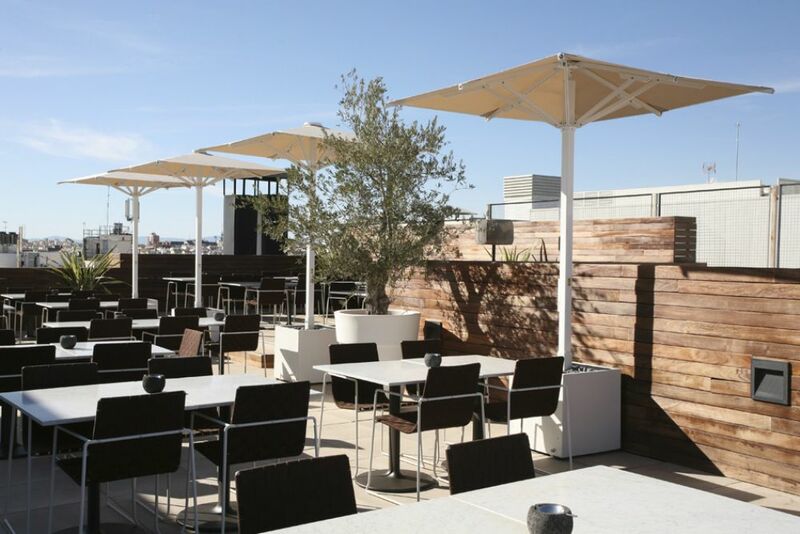 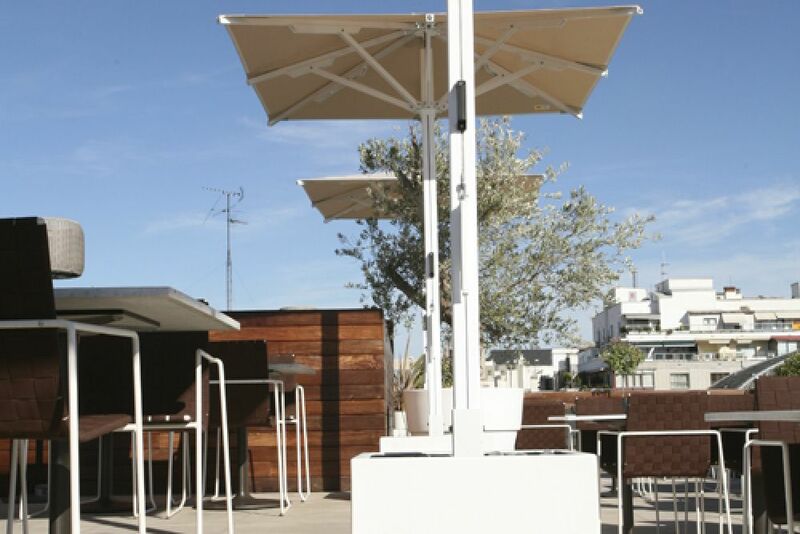 The Indus parasols installed on this terrace are characterised by their small 2x2 m dimensions and a planter base with wheels that provides mobility and flexibility to meet the need of creating different atmospheres on the hotel terrace. 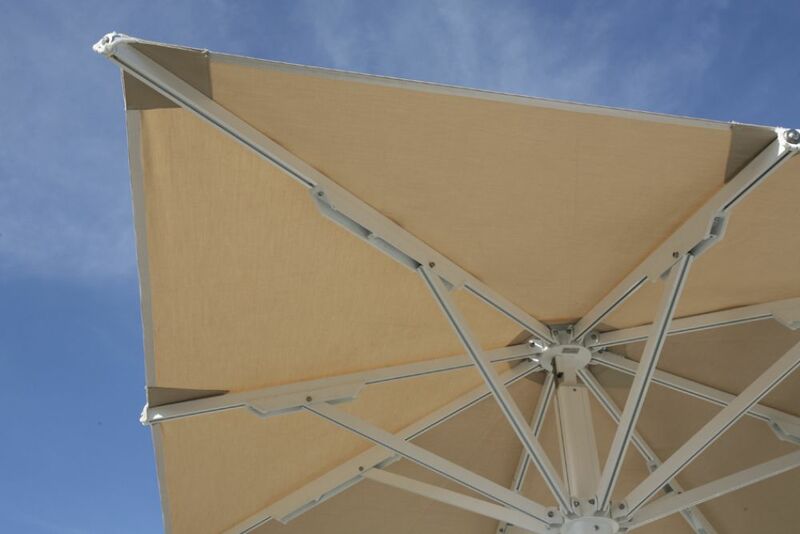 The garden base is filled with grey stones, and the tarpaulin of the parasol is beige. 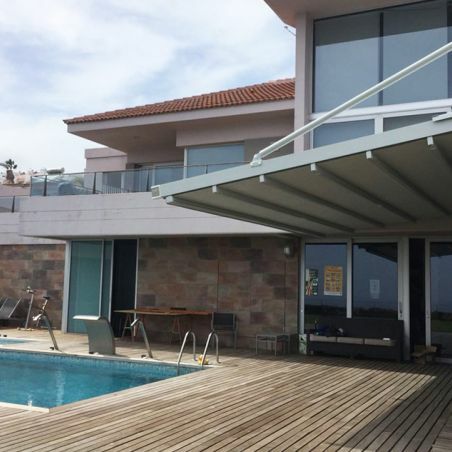 The weight required to support the whole structure is 150 kg. 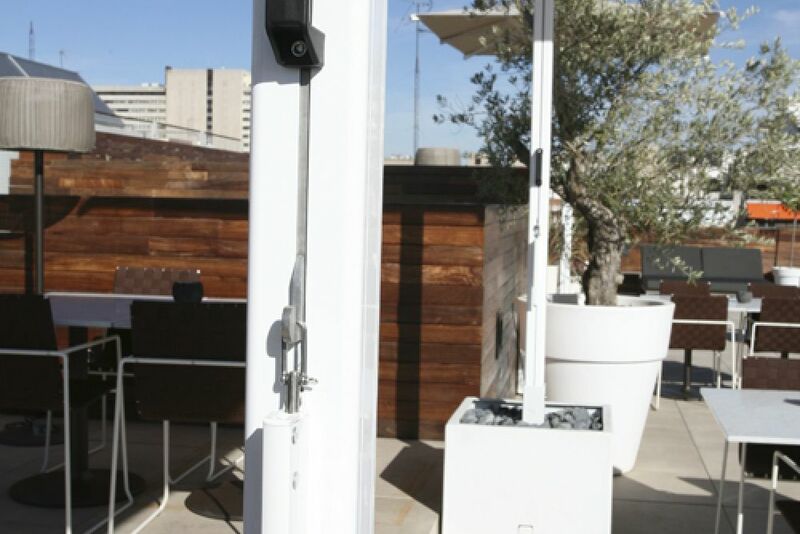 The telescopic post emerging from it is 71x71 mm, with aluminium bars measuring 20x30 mm, and stainless steel screws. 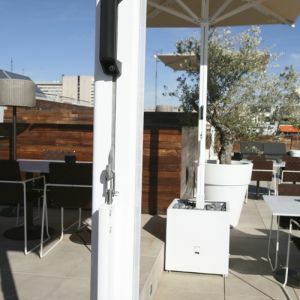 When opened, with pull handle, it can cover up to 16 m². 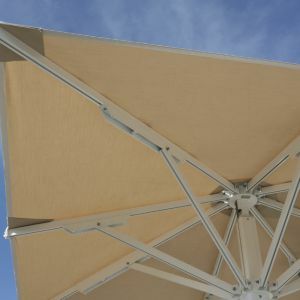 Finally, the top finish carries a cap of polyester covered with fibreglass.